If you think that Mother Nature is impressed by the Dark Side, you’d be wrong – because just like anyone else, the Dark Lord of the Sith still probably got drenched in torrential downpours, unless he uses his telekinetic abilities to shield him. 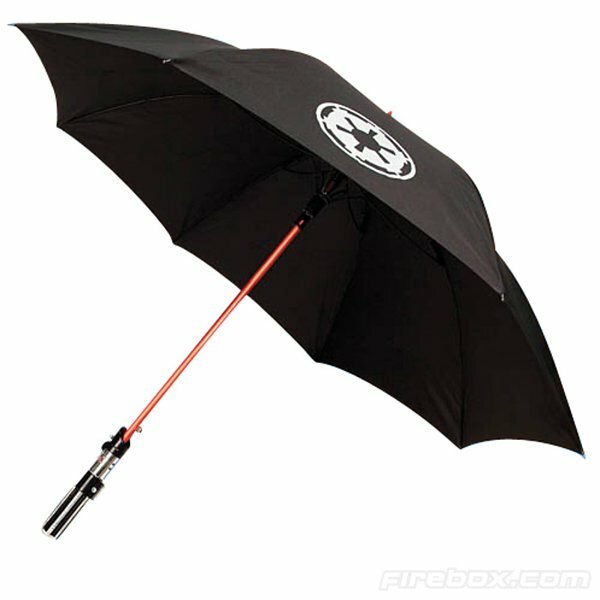 This Darth Vader lightsaber umbrella looks pretty solid and while it won’t Force Push the rain away, it would probably keep you (or Vader) nice and dry. The 4-foot Darth Vader Lightsaber Umbrella has an aluminum shaft that’s been anodized into an iridescent red color, which continues the illusion of this being a Sith lightsaber. While some other umbrellas actually glow, I get the feeling that this one was made to be durable more than anything else. 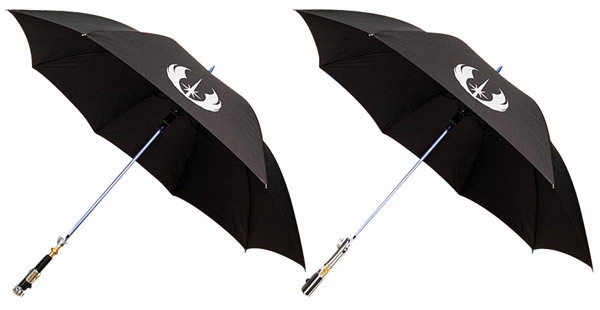 If you relate more to Anakin or Obi-Wan, they’ve got their own umbrellas too. Each of the three lightsaber umbrellas is selling for £39.99 (~$63 USD) at Firebox and comes with a carrying sheath. I’m assuming that Luke isn’t represented because it doesn’t rain much on Tatooine.